This Saturday, our family gardening session focused on weeds – both the positives and the negatives. The weed of the session was nettles. Nettles are a very useful plant – they have anti-inflammatory properties, are full of iron (more than spinach) and other minerals and vitamins. 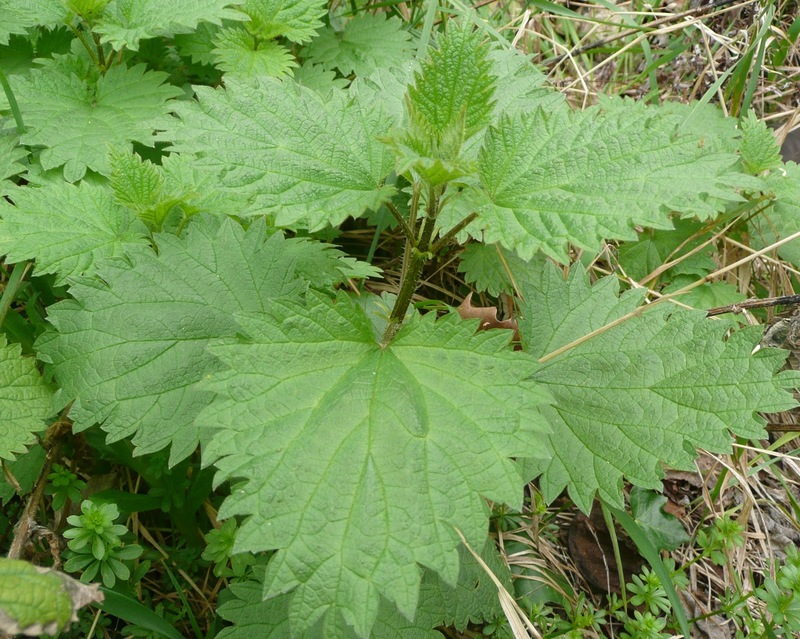 The Romans in Scotland beat their legs with nettles to get the blood flowing to warm them up! You can also make an organic liquid fertiliser from nettles or simply chop them up and add them to your beds for extra soil fertility. On Saturday, we tried fresh nettle tea and nettle pesto, and had a look at NEA’s nettle juice bin, where our own liquid fertiliser is brewing. 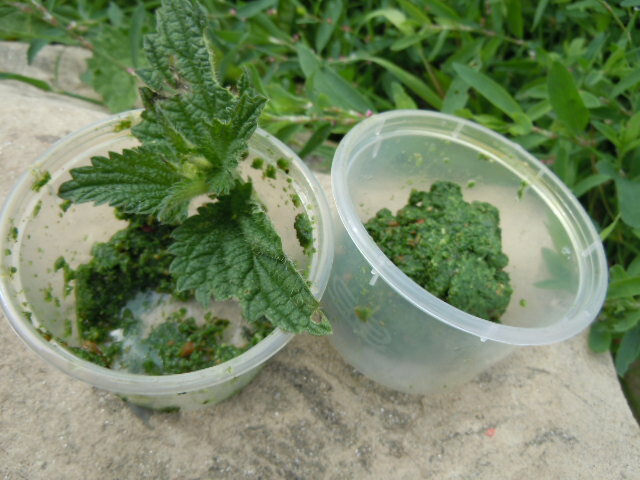 First you need to pick the nettles – you want to use very young nettles or the tips of older ones. Don’t pick them once they’ve flowered. You’ll need to pick a good bagful. Wear gloves! Wash the nettles then blanch them – bring a pot of salted water to the boil, add the nettles and boil for 1-2 minutes. Drain and rinse in cold water. Put them in a colander to strain, then squeeze out as much water as you can. Chop them roughly. Blend the ingredients in a food processor or with a blender, or you can also use a mortar and pestle. Put the pinenuts/seeds in first to get crushed, then add the garlic, salt, cheese, nettles and finally oil. How much oil you add is up to you – add it gradually until you get the runniness you want. Cover the top of the pesto with a layer of oil to keep it fresh in the fridge or freeze it. Yum! This Saturday’s family gardening session will focus on herbs – 10am-12pm in the garden at North Edinburgh Arts.